In November’s edition of The Evolutionary Banker, I addressed a few trends that are changing the ways in which business owners and corporate decision-makers are making buy decisions. It’s imperative we understand these trends so we can adapt accordingly. One of the takeaways from November’s blog was that decision-makers are looking for their vendors and service providers to have more knowledge and expertise in their industry and with their types of businesses. The value proposition of today’s “generalist” salesperson continues to decline. The same holds true for the generalist relationship manager. Having a little knowledge about a lot of industries practically ensures you’ll position yourself as a commodity in the market. In this edition of The Evolutionary Banker, I’ll walk you through the process of evaluating your professional and personal background in a way that will help you to better leverage your collective body of knowledge and professional expertise such that it will help you to focus your 2018 business development activities. The process I will lay out for you is exactly the process I went through personally in 1999 when I transitioned from being a generalist business trainer, coach, consultant to one who developed deep industry expertise such that I am a sales culture expert for banks. Now the value of “positioning” yourself and your bank as having industry expertise applies regardless whether your bank is in a rural market or a metropolitan market. However, what does differ is the execution of the strategy. In rural markets, we coach relationship managers to tailor their presentation so that they highlight their years of experience and expertise with businesses similar to the business they’re calling on. As you meet with business owners in different types of businesses, your story has to change in order to highlight your expertise working with businesses similar to the one you’re calling on. That’s what “positioning” means — to consciously and ethically shape perceptions. A quick but related side note, too many bankers call on businesses in different industries and say the very same things and represent their bank in identical ways. I call that “pin-the-tail-on-the-donkey” positioning. The relationship manager is hoping to hit the bulls-eye and say something that he or she hopes will resonate as unique with the prospect. Given that 3 out of 4 bankers present themselves in an identical way, the approach used by most RMs has the opposite effect of achieving differentiation — it positions them as a commodity. Back to the discussion of execution… in metropolitan markets, we’re seeing more and more relationship managers focus their outbound business development activities on one or two niches/segments as a means of boosting their productivity. #1. Realize you’ve already developed industry-specific knowledge: As a result of being a relationship manager for ten or twenty years or more, you have naturally developed deeper pockets of industry-specific knowledge based on the business you’ve conducted in the past. Are there certain industries where you’re naturally more comfortable talking to those types of business owners and decision makers? Are there industries where you have a deeper knowledge of the industry, and a greater grasp of industry jargon and acronyms? In what two or three industries have you done more business than other industries? What industry concentrations exist in your existing portfolio? These may represent industries that would be fruitful to focus on in 2018. But more analysis and reflection are required. #2. Evaluate your upbringing: Without even realizing it, we may have been exposed to and learned about certain businesses either through our parents or the various jobs you may have held growing up. For example, if one of your parents was a doctor, likely you were exposed to numerous discussions throughout your childhood related to the medical field and being a doctor. If your market has a fair number of medical groups and hospitals, your upbringing will be very useful when calling on doctors, medical groups, and hospitals. If your parents owned an auto-parts business, likely you learned a lot about the automotive industry growing up. If your bank has banked companies in the automotive industry, the knowledge and stories you were exposed to growing up will be extremely useful when calling on automotive-related businesses in 2018. What profession were/are your parents in? What professions interested you growing up? What were or are your hobbies? These questions can help you assess whether or not any knowledge gained while growing up may be of use and leverage as you strive to determine your sweet-spot for 2018. #3. In which industries do you have the most contacts? 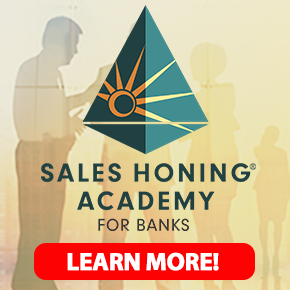 We say frequently in the Sales Honing Academy, “like fish, business people swim in schools.” We recommend assessing your database of contacts to determine where you have concentrations of contacts in the same industry. These concentrations of contacts represent an excellent and completely overlooked source of referrals and warm introductions. I recommend organizing all of your contacts by industry type. For example, group all of the doctors you know together, likewise list all of the contractors you know in another list. Keep working your way through your database until you get everyone (customers, colleagues, vendors, salespeople, friends and even family members) segmented by industry type. Currently, your contacts are likely listed in alphabetical order. This makes them easy to find, but not easy to leverage. That’s a huge distinction. When you take the time to classify your contacts by industry type, your marketing productivity and the value you’re able to provide others will skyrocket. The question you want to ask yourself when assessing your database is: In which two or three industries do I have the most industry contacts? The world is changing. What we did in the past to be successful, likely isn’t going to sustain our success in the future. Knowing this, we need to start the process of changing the ways in which we market and sell the services offered by our bank. Your prospects and customers are looking for more knowledge, advice, and counsel from their vendors and service providers. Let’s make sure we adapt to the times! The recommendations above will move you a long way towards leveraging your experience, expertise, and your contacts. Instead of simply telling his bank clients they must change to survive and prosper, Ray Adler, Founder and CEO of BTI Growth Advisors, breaks the mold by teaching them how to change. With more than 25 years of senior-level consulting experience, Ray helps regional, business and community banks identify and implement the right strategic changes they need to evolve, hone and grow to the next level.